"Illegal immigration can never stop. No government on earth can stop it. It has been in existence even before Jesus Christ." Some young Nigerians are not afraid of the desert's heat neither are they moved by the Mediterranean's waves. All they see are 'greener' pastures. They are willing to take their chances 50/50. 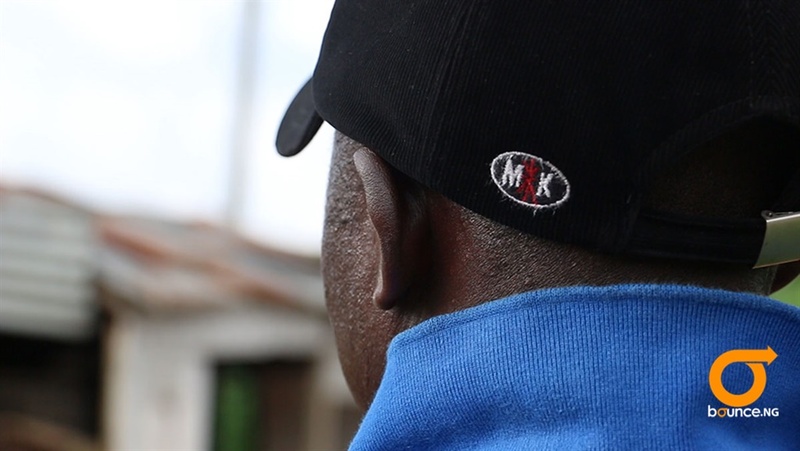 In our pursuit of truth, we met Pa Benson (not real name), a people smuggler who has been in the business for 20 years. He has 'successfully' ferried more than 100 people across the Sahara to Europe and he is proud of it. He spoke exclusively to Bounce News. Tell us about the journey from Nigeria to Europe? Let me tell you about the distance, first. It is a very far journey. When you leave Nigeria, you will first get to a place called Agadez in Niger. And then to the last border town in Niger which is Duruku. After Duruku, you get to the first village in Libya. It is from there that you proceed to a town called Sabha from where you get to Tripoli. It is from Italy that you proceed to other parts of Europe. How did you find that route to start leading people? The route has been there before Jesus Christ. Someone taught me the route and then I wrote it down. That was in 1997. After I wrote the route on paper, I made the trip myself in November 1997 to Libya. From Libya, I started smuggling people from Libya to Morocco and then eventually from Nigeria to Libya to Morocco and then to Europe. What are your criteria for taking in clients? If you are up to 20 years, I will take you to Europe. But if you are below 20, I will not take you, both men and women. This is because the Libyan government is strict on underage immigrants. If you are caught, you will face a very serious problem. Are there any security measures you put in place for people you take on these trips? Yes, we do take some safety measures. I protect my clients very well. If we are leaving during winter time, I need to buy them winter jackets – that is very thick jacket that can resist cold. Then I will also make sure that they are very healthy before I take them to the desert. Where does your responsibility begin and end with your clients? It depends on the contract I have entered with them. There are some people that say they want to cross to Libya and that they don’t want to go to Europe. If I take somebody like that to Libya, if it is the first city in that Libya, I may tell him, my contract has ended since we are in Libya. But if the person begs me and says, I am heading to Tripoli, please help me, I may consider but once I drop him off at Tripoli, my contract has ended. There are some that say, na Europe we de go, we de go Italy, then I would say alright, I will tell them how much that will take them to Italy. 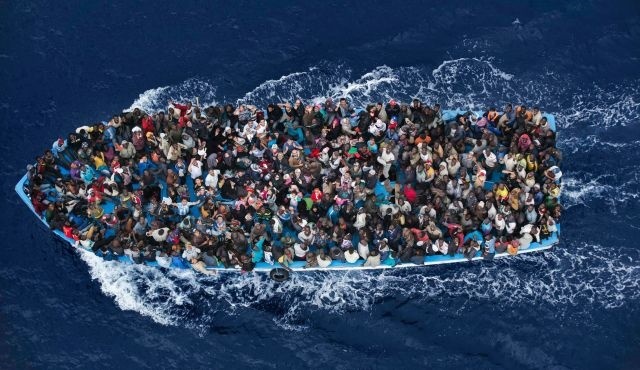 In that case, I will take them and once we get to Libya, that their brother or uncle that live in Europe will send money down to Libya and we will use the money and make sure they enter a safe boat to Europe. Once they enter, they call me and then I will call their brothers and that ends my contract. How many people have made the journey with you successfully since you started your business? My brother, they are uncountable. There are more than 60 people that I have taken to Europe and more than 45 that I took to Libya. Before now, I don't come to Nigeria every year. Sometimes I spend 4 years, I come back home and then I go back, spend two years and come back home. It is since 2008 that I started this ‘em shiji’. That is an Arabic for go and come. I will go there and the I will come back. You are trying to make a trip by September, how many people are you expecting to take on that trip? It is difficult to predict exactly how many people I will be taking on that journey. At times, I may get up to 10 people but before I move, about 3 or 4 people may have changed their minds and won’t be going again. In that case, I will take the remaining ones and go. How much does it cost a client to make the trip? 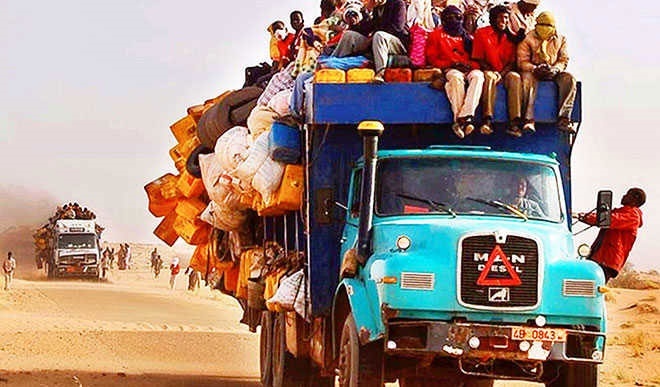 From Nigeria to Tripoli, I charge 200,000 naira from each passenger. But from Tripoli, we collect 1,200 dollars to cross a passenger to Europe. You know how they find me? I have been in this business for a long time, so I have made a name. Also, people from my own area in Benin, all of them succeeded. Those of them that wanted to get to Europe, they got there successfully. Some of them that wanted to end in Libya, they got there and were quite successful at what they did. Have you ever recorded any casualty while making your trips? Hmmmm! I have never recorded any casualty but there was one occasion I met a trip that their truck broke down in the Sahara desert and all of them perished. Did they include your clients? No! No! No! That can never happen to me. Why do you think it can never happen to you? Do I not know the God I serve? You know, this desert that we are talking about, Jesus Christ also followed it. And the route has been there before Jesus Christ. So, nobody can stop that route. So, you don’t think this illegal migration will ever stop? It cannot stop. No government on earth can stop it. You know, Jesus was once an illegal immigrant. I know that the whole world is fighting to stop it but it can never stop. How lucrative is this as a business? That is not the point. I am also a farmer here in Nigeria and even there in Libya where I live, I have a very good job. So, why do you still cross people illegally into Europe? This trip will be my last. Because I am old enough to stop it. But why did you do it and why do you still want to do one more? My brother, if you see the suffering in this Nigeria and the crime that happened here especially in this Benin, if not because of this travel by road of a thing, everybody would have been living in the bush. To a point, people will just hate themselves so much that they will jump into the river and die because of crime. Right now, there is no more gunshots, no more house burning, armed robbery, and no more fighting. More than 75% of criminals in Benin have moved away. All of them are in Europe but they cannot try that nonsense there. Those are some of the benefits of this road travel to Europe. More so, where is the job here in Benin or in this Nigeria? Or is it because you have opportunity to get this little job (referring to the reporter). This is the end of our interview. Please off that camera.